Patterning wild hogs in February is similar to deer in deer season. By figuring out their travel routes, a hunter can get one in his scope. Hogs are also attracted to many food sources that deer find attractive. 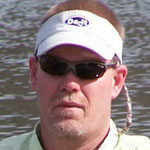 Hard and soft mast, young greenery, and legal baiting stations will draw hogs into gun range. 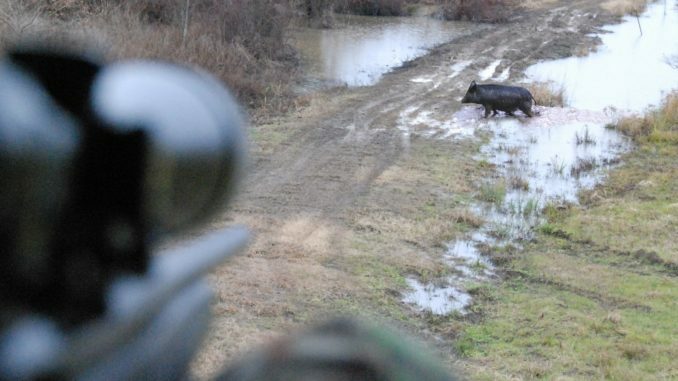 Still and stalk hunting for hogs is most successful around areas such as firebreaks, logging roads, or levees where the hunter can visually see the animal then use the terrain to approach undetected from downwind in order to get within gun range. 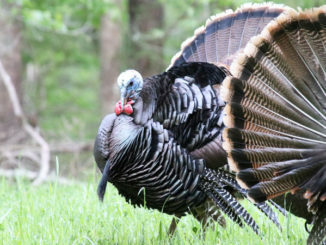 Hunting hogs with dogs is legal, except during the spring turkey season.